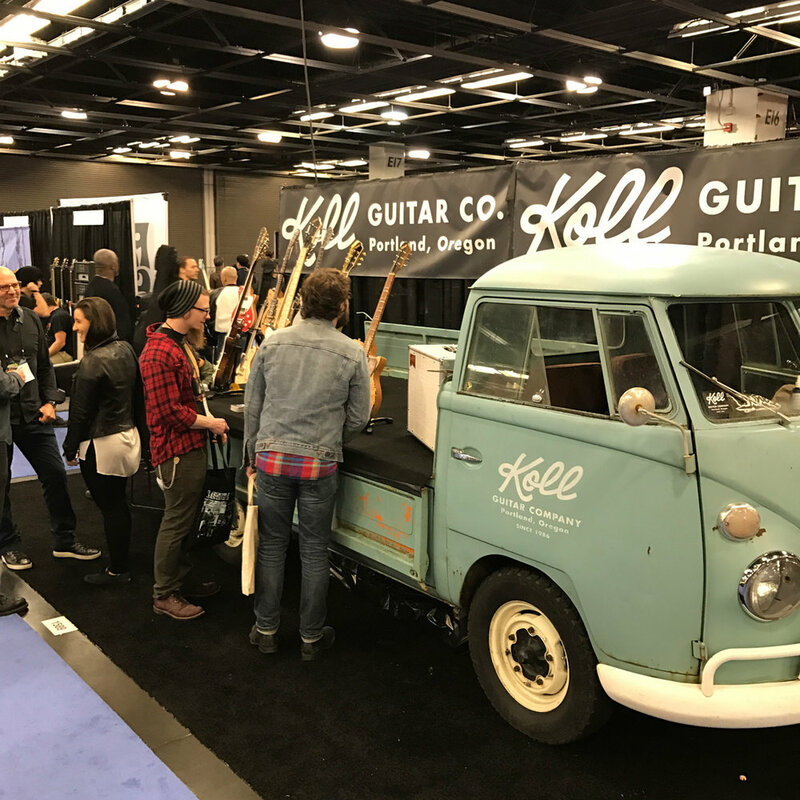 Countdown to NAMM 2018 — Koll Guitar Co. The annual music tradeshow/circus/sideshow that is NAMM happens later this month, January 25-28. Here at Koll we're busy finishing 20 new guitars for the show. We're really excited about this NAMM batch, and we'll have more news as it gets closer about a new model we'll be unveiling in Anaheim and other surprises. And yes, the Koll truck will be making another appearance! Stop on by booth #3033 and say hello.